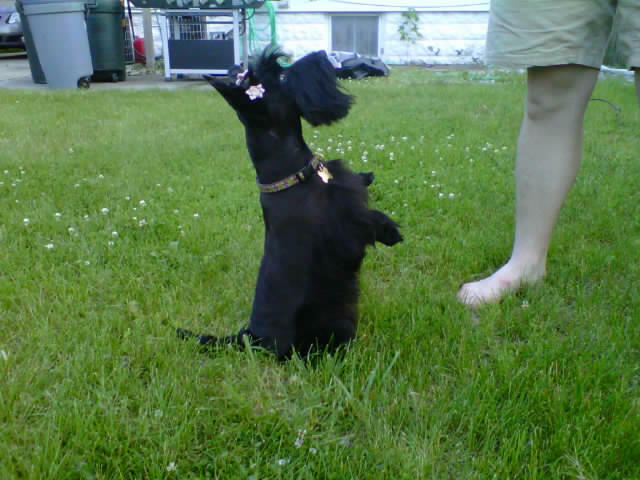 We made it back to Detroit, the home office, and got Pippi over to see her Groomer Stacie. That is a question we get asked often, not just how we see a Doc but how Pippi gets taken care of. Pippi’s vet and groomer are here in Detroit, where our companies offices are. She loved her groomer and so do we. We went for a shorter summer cut this time. Josh hates the bows in her ears but I kind of like it. How beautiful! What a doll! Pippi is looking lovely. True question is how long will the bows last in her hair? Brodie would have them out within minutes! She just goes with the flow, not a fan of hats however. 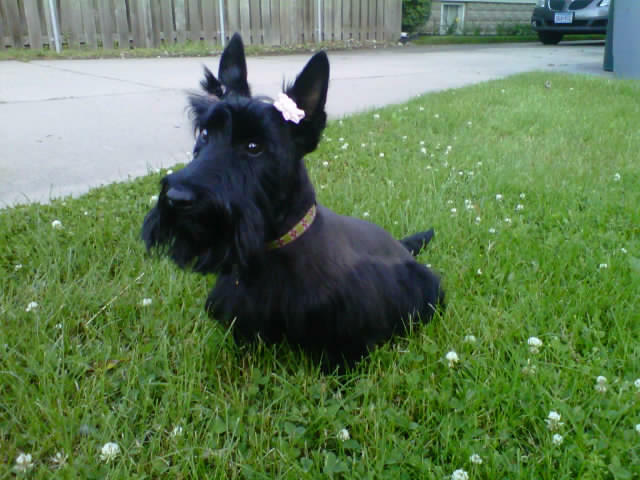 There is nothing prettier than a freshly groomed black Scottie standing in emerald green grass – I do have to agree with Josh on the bows though! Gosh, what a stunner Pippi is. Pretty eyes too! I think Pippi and Bonnie look so much alike. Where is she from?